The Treaty on Stability, Coordination and Governance in the Economic and Monetary Union; also referred to as TSCG or more plainly the Fiscal Stability Treaty is an intergovernmental treaty introduced as a new stricter version of the Stability and Growth Pact, signed on 2 March 2012 by all member states of the European Union (EU), except the Czech Republic, the United Kingdom, and Croatia (subsequently acceding the EU in July 2013). The treaty entered into force on 1 January 2013 for the 16 states which completed ratification prior of this date. As of 1 April 2014, it had been ratified and entered into force for all 25 signatories. The Fiscal Compact is the fiscal chapter of the Treaty (Title III). It binds 22 Member States: the 19 Member States of the Eurozone plus Bulgaria, Denmark and Romania who have chosen to opt-in. It is accompanied by a set of common principles. Member states bound by the Fiscal Compact have to transpose into national legal order the provisions of the Fiscal Compact. In particular, national budget has to be in balance or surplus under the treaty's definition. An automatic correction mechanism has to be established to correct potential significant deviations. A national independent monitoring institution should be mandated to provide fiscal surveillance. The treaty defines a balanced budget as a general budget deficit not exceeding 3.0% of the gross domestic product (GDP), and a structural deficit not exceeding a country-specific Medium-Term budgetary Objective (MTO) which at most can be set to 0.5% of GDP for states with a debt‑to‑GDP ratio exceeding 60% - or at most 1.0% of GDP for states with debt levels within the 60%-limit. The country-specific MTOs are recalculated every third year and might be set at stricter levels compared to what the treaty allows at most. The treaty also contains a direct copy of the "debt brake" criteria outlined in the Stability and Growth Pact, which defines the rate at which debt levels above the limit of 60% of GDP shall decrease. If the budget or estimated fiscal account for any ratifying state is found to be noncompliant with the deficit or debt criteria, the state is obliged to rectify the issue. If a state is in breach at the time of the treaty's entry into force, the correction will be deemed to be sufficient if it delivers sufficiently large annual improvements to remain on a country specific predefined "adjustment path" towards the limits at a midterm horizon. Should a state suffer a significant recession, it will be exempted from the requirement to deliver a fiscal correction for as long as it lasts. Despite being an International treaty outside the EU legal framework, all treaty provisions function as an extension to existing EU regulations, utilising the same reporting instruments and organisational structures already created within EU in the three areas: Budget discipline enforced by Stability and Growth Pact (extended by Title III), Coordination of economic policies (extended by Title IV), and Governance within the EMU (extended by Title V). The treaty states that the signatories shall attempt to incorporate the Fiscal Compact into the EU's legal framework, on the basis of an assessment of the experience with its implementation, by 1 January 2018 at the latest. Monetary policy in the Eurozone (the EU countries which have adopted the Euro) is determined by the European Central Bank (ECB). Thus the setting of central bank interest rates and monetary easing is in the sole domain of the ECB, while taxation and government expenditure remain mostly under the control of national governments, within the balanced budget limits imposed by the Stability and Growth Pact. The EU has a monetary union but not a fiscal union. In October 2007, then ECB president, Jean-Claude Trichet, emphasised the need for the European Union (EU) to pursue further economic and financial integration within certain areas (amongst others labour mobility and flexibility and reaching retail banking convergence). If these fiscal policies were adhered to by all member states, the ECB believed that this would increase their competitiveness. In June 2009, recommendations were published by The Economist magazine and the International Monetary Fund which suggested that Europe establish a fiscal union comprising a: Bailout fund, banking union, mechanism to ensure the same prudent fiscal and economic policies were pursued equally by all states, and common issuance of eurobonds. Angel Ubide from the Peterson Institute for International Economics joined this view, suggesting that long-term stability in the eurozone required a common fiscal policy rather than controls on portfolio investment. Starting from early 2010, the proposal to create a much greater fiscal union, at least in the eurozone, was considered by many to be either the natural next step in European integration, or a necessary solution to the 2010 European sovereign debt crisis. Combined with the EMU, a fiscal union would, according to the authors of the Blueprint report, lead to much greater economic integration. However, the process of building a fiscal union is envisaged by them to be a long-term project. The presidents of the ECB, Commission, Council and Eurogroup published a blueprint for a deep and genuine EMU in November 2012, outlining the elements of a fiscal union which could be achieved in the short, medium and long-term. For the short term (0–18 months), only proposals within the existing competences of the EU treaties were considered, while more wide-reaching proposals requiring treaty amendments were only considered for longer time frames. The blueprint report mentioned that the potential introduction of a common issuance of eurobills with 1-year maturity could be implemented in the medium term (18 months – 5 years ahead), while eurobonds with 10-year maturity could be implemented as the final step in the long-term (more than 5 years ahead). According to the authors of the Blueprint report, each step the EU take towards the sharing of common debt, the first of which is envisaged to include joint guarantees for debt repayment in conjunction with either a "debt redemption fund for excessive debt" or "issuance of some short-term eurobills", will need to be accompanied by increased coordination and harmonization of fiscal and economic policies in the eurozone. As such, the two reforms of the Stability and Growth Pact known as the sixpack (which entered into force December 2011) and twopack (planned entry into force in summer 2013), and the European Fiscal Compact (a treaty which largely mirrors these two EU reforms), represents, according to the authors of the Blueprint report, the first step towards the increased sharing and adherence to the same fiscal rules and economic policies, which they argue potentially paves the way for ratification in the medium term of a new EU treaty allowing for the common issuance of eurobills. In March 2010, Germany presented a series of proposals to address the ongoing European sovereign debt crisis. They emphasised that the intention was not to establish a fiscal union in the short term, but to make the monetary union more resilient to crisis. They argued that the previous Stability and Growth Pact needed to be reformed to become more strict and efficient, and in return a European emergency bailout fund should be founded to assist states in financial difficulties, with bailout payments available under strict corrective fiscal action agreements – subject to approval by the ECB and Eurogroup. In case a non-collaborating state with an Excessive Deficit Procedure breached the called for adjustment path towards compliance, it should risk being fined or lose its payment of EU cohesion funds and/or lose its political voting rights in the Eurogroup. A call was also made to enforce the Coordination of economic policies between eurozone members, so that all states take an active part in each other's policymaking. Throughout the following three years, these German proposals materialised into new European agreements or regulations after negotiations with the other EU member states. The envisaged emergency bailout fund European Financial Stability Facility (EFSF) was the first proposal to become agreed to by the EU member states on 9 May 2010, with the facility being fully operational on 4 August 2010. As a part of the proposed reform of the Stability and Growth Pact, Germany also presented a proposal in May 2010 that all Eurozone states should be obliged to adopt a balanced budget framework law into its national legislation, preferably at the constitutional level, with the purpose of guaranteeing future compliance with the pacts promise of having a clear cap on new debt, strict budgetary discipline and balanced budgets. Implementation of the proposed debt brake was by-itself envisaged to imply much tighter fiscal discipline compared to the existing EU rules requiring deficits not to exceed 3% of GDP. This proposal was later adopted as part of both the Fiscal Compact and Twopack regulations. In late 2010, proposals were made to reform some rules of the Stability and Growth Pact to strengthen fiscal policy co-ordination. In February 2011, France and Germany had proposed the 'Competitiveness Pact' to strengthen economic co-ordination in the eurozone. Spain also endorsed the proposed pact. German Chancellor Angela Merkel has also verbally championed the idea of a fiscal union, as have various incumbent European finance ministers and the head of the European Central Bank. In March 2011, a new reform of the Stability and Growth Pact was initiated, aiming at strengthening the rules by adopting an automatic procedure for imposing penalties in case of breaches of either the deficit or the debt rules. By the end of 2011, Germany, France and some other smaller EU countries went a step further and vowed to create a fiscal union across the eurozone with strict and enforceable fiscal rules and automatic penalties embedded in the EU treaties. German chancellor Angela Merkel also insisted that the European Commission and the Court of Justice of the European Union must play an "important role" in ensuring that countries meet their obligations. In that perspective, strong European Commission "oversight in the fields of taxation and budgetary policy and the enforcement mechanisms that go with it could further infringe upon the sovereignty of eurozone member states". Think-tanks such as the World Pensions Council (WPC) have argued that a profound revision of the Lisbon Treaty would be unavoidable if Germany were to succeed in imposing its economic views, as stringent orthodoxy across the budgetary, fiscal and regulatory fronts would necessarily go beyond the treaty in its current form, thus further reducing the individual prerogatives of national governments. On 9 December 2011 at the European Council meeting, all 17 members of the eurozone agreed on the basic outlines of a new intergovernmental treaty to put strict caps on government spending and borrowing, with penalties for those countries who violate the limits. All other non-eurozone countries except the United Kingdom said they were also prepared to join in, subject to parliamentary vote. Originally EU leaders planned to change existing EU treaties but this was blocked by British prime minister David Cameron, who demanded that the City of London be excluded from future financial regulations, including the proposed EU financial transaction tax, thus a separate treaty was then envisaged, outside the formal EU institutions, as it had been with the first Schengen treaty in 1985. On 30 January 2012 after several weeks of negotiations, all EU leaders except those from United Kingdom and Czech Republic endorsed the final version of the fiscal pact at the European summit in Brussels, though the treaty was left open to accession by any EU member state and Czech prime minister Petr Nečas said his country may join in the future. The treaty only becomes binding on the non-eurozone signatory states after they adopt the euro as their currency, unless they declare their intention to be bound by part, or all, of the treaty at an earlier date. The new treaty was signed on 2 March and will come into force on 1 January 2013, if it has been ratified (which requires the approval of national parliaments) by at least 12 countries that use the euro. Ireland held a referendum on the treaty on 31 May 2012, which was approved by 60.3%. EU countries that signed the agreement will have to ratify it by 1 January 2013. Once a country has ratified the Treaty it has another year, until 1 January 2014, to implement a balanced budget rule in their binding legislation. Only countries with such rule in their legal code by 1 March 2013 will be eligible to apply for bailout money from the European Stability Mechanism (ESM). Although the European Fiscal Compact was negotiated between 25 of the then 27 member states of the EU, it is not formally part of European Union law. It does, however, contain a provision to attempt to incorporate the pact into the Treaties establishing the European Union within five years of its entering into force. The treaty is divided into 6 titles. The first explains that the aim of the treaty is to "strengthen the economic pillar of the economic and monetary union" and that the treaty should be fully binding on Eurozone countries. Title II defines its relation to EU laws and the Treaties of the European Union, applying the Fiscal Compact only "insofar as it is compatible". Title VI contains the final clauses regarding ratification and entry into force. Three Titles (III-V) contain rules regarding fiscal discipline, coordination and governance. Balanced budget rule: General government budgets shall be "balanced" or in surplus. The treaty defines a balanced budget as a general budget deficit not exceeding 3.0% of the gross domestic product (GDP), and a structural deficit not exceeding a country-specific Medium-Term budgetary Objective (MTO) which at most can be set to 0.5% of GDP for states with a debt‑to‑GDP ratio exceeding 60% - or at most 1.0% of GDP for states with debt levels within the 60%-limit. The country-specific MTOs are recalculated every third year, and might be set at stricter levels compared to what the treaty allows at most. The rule is based upon the existing Stability and Growth Pact (SGP) deficit rule, where the concept of country-specific MTOs was integrated into the preventive arm of the pact in 2005, with an upper limit for structural deficits at 1.0% of GDP applying to all eurozone and ERM-II member states. The novelty of the Fiscal Compact, was to introduce a varying upper limit which depends on the debt-level of the state. When comparing the Fiscal Compact's new MTO rule with the applying country-specific SGP MTOs in 2012, it can be concluded that if the fiscal provisions of the treaty had applied immediately towards all EU member states, then only Hungary and the UK would have been required to introduce a stricter MTO (revising it down to 0.5% of GDP) - as a consequence. As per the already applying Stability and Growth Pact, Member States with a fiscal balance not yet at their MTO, are required to ensure rapid convergence towards it, with the time-frame for this "adjustment path" being outlined by the Council on basis of a European Commission proposal taking the country-specific sustainability risks into consideration. bbt = 60% + 0.95*(bt-1-60%)/3 + 0.952*(bt-2-60%)/3 + 0.953*(bt-3-60%)/3. The bb-value is the calculated benchmark limit for year t, and the formula feature three t-year-indexes for backwards-checking. When checking forwards, the same formula is applied, just with all the t-year-indexes being pushed two years forward: bbt+2 = 60% + 0.95*(bt+1-60%)/3 + 0.952*(bt-60%)/3 + 0.953*(bt-1-60%)/3. The year referred to as t in the listed backward-looking and forward-looking formula, is always the latest fiscal year with available recorded data. For example, a backward-check conducted in 2014 will always check whether the recorded 2013 debt-to-GDP ratio respected the 2013 debt reduction benchmark calculated on basis of recorded debt-to-GDP ratio data from 2010+2011+2012, while the forward-looking check will be all about whether the forecast 2015-data will respect the 2015 debt reduction benchmark calculated on basis of debt-to-GDP ratio data for 2012+2013+2014. It shall be noted, that whenever a b input-value (debt-to-GDP ratio) is recorded/forecast below 60%, its data-input shall be replaced by a fictive 60% value in the formula. Beside of the backward-looking and forward-looking debt-brake compliance check, a third cyclically adjusted backward-looking debt-brake check (same backward-looking formula applied, but now checking if the cyclically adjusted debt-to-GDP ratio respects the calculated benchmark-limit), also form part of the assessment whether or not the state is in abeyance with the debt-criterion. Bt stands for consolidated nominal gross debt of the general government in year t.
Ct stands for the consolidated nominal gross debt generated by the cyclical component of the general government budget balance in year t (note: As the linked AMECO data series for Ct only display this figure as a percentage of 2010 potential GDP at current prices, it shall of course be recalculated back to its nominal figure by multiplying it with the 2010 potential GDP). Yt stands for nominal GDP at current market prices in year t.
Ypott stands for potential growth rate in year t (table 13 in source). Pt stands for the GDP price deflator rate in year t (table 15 in source). If just one of the four quantitative debt-requirements (including the first one requesting the debt-to-GDP ratio to be below 60% in the latest recorded fiscal year) is complied with: bt 60% or bt bbt or b*t bbt or bt+2 bbt+2, then a state will be declared to be in abeyance with the debt brake rule. Otherwise the Commission will declare a breach of the debt-criterion by the publication of a 126(3) report, and provided no special "breach exemptions" can be found to exist by this report (i.e. finding the debt breach was solely caused by "structural improving pension reforms" or "payment of bailout funds to financial stability mechanisms" or "payment of national funds to the new European Fund for Strategic Investments" or "appearance of an EU-wide recession"), then the Commission will recommend the Council to open up a debt-breached EDP against the state by the publication of a 126(6) report. The concept of the Fiscal Compact, however, is that national legislation instead shall ensure an automatic correction will be implemented immediately when such a potential 126(6) situation is detected, so that the state can manage automatically to correct it in advance, and hereby avoid the Council will ever decide to open up a 126(6) debt-breached EDP against the state. The above outlined debt brake rule, already entered into force at the EU level on 13 December 2011, as part of the amendment of EU Regulation 1467/97 introduced by the sixpack reform. As it is also an essential part of the Fiscal Compact, the signatories are encouraged to refer to EU Regulation 1467/97 when they implement the rule into domestic law. For transitional reasons, the regulation granted all 23 EU Member States with an ongoing EDP in November 2011, a 3-year exemption period to comply with the rule, which will start in the year when the member state have its 2011-EDP abrogated. For example, Ireland will only be obliged to comply with the new debt brake rule in 2019, if they, as expected, manage to correct their EDP in fiscal year 2015 - with the formal EDP abrogation then taking place in 2016. During the years where the 23 member states are exempted from complying with the new debt brake rule, they are still obliged to comply with the old debt brake rule that requires the debt-to-GDP ratios in excess of 60% to be "sufficiently diminished", meaning that it must approach the 60% reference value at a "satisfactory pace" ensuring it will succeed to meet the debt reduction requirement of the new debt brake rule three years after its EDP is abrogated. This special transitional "satisfactory pace" is calculated by the Commission individually for each of the concerned states, and is published to them in form of a figure for: The annually required Minimum Linear Structural Adjustment (MLSA) of the deficit in each of the 3 years in the transition period - ensuring the compliance with the new debt brake rule by the end of the transition period. Automatic correction mechanism: If it becomes clear that the fiscal reality does not comply with the "balanced budget rule", which is the case when a "significant deviation" is observed from the MTO or the adjustment path towards it, then an automatic correction mechanism should be triggered. The exact implementation of this mechanism will be defined individually by each Member State, but it has to comply with the basic principles outlined in a directive published by the European Commission. This directive was published in June 2012, and outlined common principles for the role and independence of institutions (such as a Fiscal Advisory Council) responsible at the national level for monitoring the observance of the rules, which is one of the key elements to ensure that the "automatic correction mechanism" will actually work. The directive also outlined the nature, size and time-frame of the corrective action to be undertaken under normal circumstances, and how to undertake corrections for states subject to "exceptional circumstances". Correction of deficit deviations: If a significant deviation (more than 0.5% of GDP) from the MTO or the adjustment path towards it, is observed on basis of an overall assessment with the structural balance as a reference (including analysis of the "expenditure benchmark"), the automatic correction mechanism shall immediately correct the situation through implementation of counter measures being effective after a short period of time, unless the deviation has been caused by "extraordinary events outside control of the Member State" or the arrival of a "severe economic downturn". In June 2014, the Council endorsed the following cited method to assess whether or not "effective action" during the course of the past two years had been taken by a state with an open ongoing EDP, which is checked for to figure out if the state managed to follow its required "adjustment path towards respecting its MTO" or should have implemented additional corrective measures through its automatic correction mechanism during the period: The assessment starts by comparing the headline deficit target and the recommended improvement in the structural balance, as notified by the latest Council recommendation to the state, with the headline deficit and the apparent fiscal effort measured by the change in structural budget balance. If not achieved, the Commission will carry out a "careful analysis" based on (1) a top-down assessment of the adjusted change of the structural balance (adjusting for: (i) the impact of revisions in potential GDP growth compared with the growth scenario underpinning the Council recommendation, (ii) the impact of revenue windfalls/shortfalls relative to the ones used in the baseline scenario, and (iii) the negative impact of the changeover to ESA 2010 on the cost of tax credits) and (2) a bottom-up assessment of the consolidation measures undertaken by the authorities for the period in concern (which differs from the adjusted top-down assessment by calculating the structural adjustment effort unaffected by potential changes in public debt interest rates and potential changes of the GDP deflator - compared to the forecast figures utilized by the baseline scenario in the previous 126(7) report calling for "effective action to end an excessive deficit"). In the event that both (1)+(2) return a shortfall for the targeted structural deficit improvements, the state will be deemed not to have implemented the required amount of corrective measures, equal to the launch of a 126(9) report requiring immediate effective action to be taken to make up for the recorded shortfall. If a Member State ahead of the entry into force of this treaty, had a structural deficit in excess of its MTO, such state will not be required immediately to correct this down to its MTO-limit, but must comply with the "adjustment path" towards reaching their country-specific MTO, as outlined in its latest Stability/Convergence report - which is subject to approval by the European Commission and published annually in April. The adjustment path towards reaching a MTO shall at minimum entail annual structural deficit improvements of 0.5% of GDP. The MTO depicts the maximum average structural deficit per year the country can afford for the medium-term, when targeting that the debt-to-GDP ratios shall be maintained below 60% throughout the next fifty years, which mean it might - due to presence of age-related demographic dividends - imply that some states are required to impose stricter surplus MTOs through decades where the pensioned elderly represents a low percentage of the population (so that the state can conduct early continuous savings to meet the challenge of increased age-related costs in some future decades) - followed by some less strict deficit MTOs through the decades where the opposite is the case. Economic Partnership Programmes: Member States having an Excessive Deficit Procedure (EDP) opened up after the treaty enters into force, shall submit to the Commission and the Council an Economic Partnership Programme (EPP) for endorsement, detailing the necessary structural reforms to ensure an effective and durable correction of their excessive deficit. This shall be done a few weeks after the EDP has been notified by a 126(6) report. If the granted EDP-deadline for correction subsequently gets extended, the state will at the same time be required to submit a new updated programme. The implementation of the programme, and the yearly budgetary plans consistent with it, are monitored not only by the state's Fiscal Advisory Council established by the treaty, but also by the Commission and the Council. The main instrument utilized for monitoring whether the state comply with its programme, is the National Reform Programme report, being submitted to the Commission each year in April. If a state under EDP at the same time benefit from a sovereign bailout programme, it shall not submit an EPP, as their content already will be covered by the conditional Economic Adjustment Programme report. The EAP report is updated at regular intervals, and payment of the next bailout tranches will only be conducted if it conclude the state is still in ongoing compliance with its conditional programme. Debt issuance coordination: For the purpose to better coordinating the planning of national debt issuance between Member States, each state shall submit its public debt issuance plans in advance to the European Commission and Council of the EU. Commitment always to support EDP recommendations: This provision only apply for eurozone states, which shall be committed when meeting in the Council format, always to support approval of the EDP related proposals or recommendations submitted by the European Commission. However, this obligation shall not apply if a qualified majority of the eurozone states are opposed to the proposed or recommended decision. Embedding the "Balanced budget rule" and "Automatic correction mechanism" into domestic law: The Balanced budget rule and Automatic correction mechanism shall be embedded in the national legal system of each state at the statutory level or higher, no later than 12 months after the treaty entered into force for the state. The European Commission is responsible for monitoring this, and shall submit an evaluation report - which has been scheduled to happen for the first time in September 2015. If any state legally bound by the fiscal provisions (Title III of the treaty) is reported to have a non-compliant implementation law, or if any ratifying state believes another states implementation law is non-compliant after the deadline for compliance, then the Court of Justice can be asked to judge the case, and in the event of finding support for the claim it will submit an enforcement ruling setting a final deadline for compliance. If the non-compliance continues after expiry of the new extended deadline ruled by the Court of Justice, then it can impose a penalty of up to 0.1% of GDP against the concerned state. The fine goes to the ESM if a eurozone state is fined, or to the general EU budget if a non-eurozone state is fined. Coordination of policies improving competitiveness, employment, public fiscal sustainability and financial stability: All states bound by this provision shall "work jointly towards an economic policy that fosters the proper functioning of the economic and monetary union and economic growth through enhanced convergence and competitiveness". To this end, each state is required to "take the necessary actions and measures in all the areas which are essential to the proper functioning of the euro area in pursuit of the objectives of fostering competitiveness, promoting employment, contributing further to the sustainability of public finances and reinforcing financial stability". The state shall report through its annual National Reform Programme, how its economic policies comply with this provision, while the Commission and Council subsequently publish their non-legally-binding opinion if the actions taken are considered to be sufficient or insufficient. As such, this rule can be argued to be similar to the commitments in the Euro Plus Pact. Coordination and debate of economic reform plans: For the purpose of working towards a more closely coordinated economic policy, all major economic policy reforms a member state plans, shall be discussed ex-ante and – where appropriate – coordinated among all states bound by Title IV. Any such coordination shall involve the institutions of the European Union. To this end, a pilot project was conducted in July 2014, which recommended the design of the yet to be developed Ex Ante Coordination (EAC) framework, should be complementary to the instruments already in use as part of the European Semester, and should be based on the principle of "voluntary participation and non-binding outcome" with the output being more of an early politically approved non-binding "advisory note" put forward to the national parliament (which then can be taken into notice, as part of their process to complete and improve the design of their major economic reform in the making). As such, this rule can be argued to be similar to the earlier made commitment in the Euro Plus Pact, in which each Member State committed themselves to put any "major economic reform proposal with potential spillover effects" into a non-binding ex ante consultation with its Euro Plus partners. "Enhanced cooperation, as provided for by the existing article 20 in the Treaty on European Union...on matters that are essential for the proper functioning of the euro area without undermining the internal market". Meetings for policy governance: Title V of the treaty provides for Euro summits to take place at least twice a year, chaired by the President of the Euro summit to be appointed by Eurozone countries for a term that runs concurrent to the term of the President of the European Council. The meeting members include all heads of state from the Eurozone and the President of the European Commission, while the President of the European Central Bank is also invited. Agendas for the summits are limited to "questions relating to the specific responsibilities which the Contracting Parties whose currency is the euro share with regard to the single currency, other issues concerning the governance of the euro area and the rules that apply to it, and strategic orientations for the conduct of economic policies to increase convergence in the euro area." All heads of state from non-eurozone states which have ratified the treaty are also invited to take part in the meetings for agenda items related to "competitiveness for the Contracting Parties, the modification of the global architecture of the euro area and the fundamental rules that will apply to it in the future, as well as, when appropriate and at least once a year, in discussions on specific issues of implementation of this Treaty". The Eurogroup has been tasked with preparing and conducting the follow up work between Euro summit meetings, and for that purpose the President of the Eurogroup may also be invited to attend the summits. The Fiscal Compact supplements pre-existing EU regulations for the Stability and Growth Pact (extended by Title III), coordination of economic policies (extended by Title IV), and governance within the EMU (Title V formalises a regulation for the existing Euro summit meetings of Eurozone members). Finally a tie exists to the European Stability Mechanism, which requires its Member States to have ratified and implemented the Fiscal Compact into national law as a pre-condition for receiving financial support. The fiscal provisions introduced by the Fiscal Compact treaty (for those states legally bound by these measures) function as an extension to the Stability and Growth Pact (SGP) regulation. The SGP regulation applies to all EU member states, and has been designed to ensure that each state's annual budgetary plans are compliant with the SGP's limits for deficit and debt (or debt reduction). 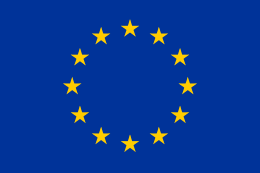 Compliance is monitored by the European Commission and by the Council. As soon as a Member State is considered to breach the 3% budget deficit ceiling or does not comply with the debt-level rules, the Commission initiates an Excessive Deficit Procedure (EDP) and submits a proposal for counter-measures for the member state to correct the situation. The counter measures will only be outlined in general, identifying the size and the time-frame of the needed corrective action to be undertaken, while taking into consideration country-specific risks for fiscal sustainability. Progress towards and respect of each specific state's Medium-Term budgetary Objective (MTO) shall be evaluated on the basis of an overall assessment with the structural balance as a reference, including an analysis of expenditure net of discretionary revenue measures. If a eurozone member state repeatedly breaches its "adjustment path" towards respecting the state's MTO and the fiscal limits outlined by the SGP, then the Commission may fine the state a percentage of its GDP. Such fines can only be rejected if the Council subsequently votes against the fine with a qualified 2/3 majority. EU member states outside the eurozone cannot be fined for breaches of the fiscal rules. 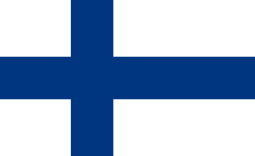 In December 2012, Finland became the twelfth eurozone state to ratify the treaty, thus triggering its entry into force on 1 January 2013. For subsequent ratifiers, entry into force is on the first day of the month following their deposit of the instrument of ratification. Slovakia became a party to the treaty on 1 February 2013, as did Hungary, Luxembourg and Sweden on 1 June 2013, Malta on 1 July 2013, Poland on 1 September 2013, the Netherlands on 1 November 2013, Bulgaria on 1 February 2014 and the last signatory Belgium on 1 April 2014. The non-eurozone countries Denmark and Romania have declared themselves to be bound in full, while Bulgaria declared itself bound by Title III. Latvia became bound by the fiscal provision on 1 January 2014 when it adopted the euro. The ratification processes is summarised in the table below. 23 countries submitted laws for ratification of the treaty according to a standard parliamentary ratification procedure. 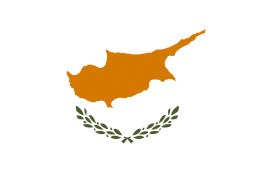 In Cyprus, ratification was performed by a governmental decree without involving the parliament. In Ireland, a referendum was held to approve a constitutional amendment that empowered the government to ratify the treaty. 1 2 3 4 5 6 7 8 9 10 11 12 13 14 15 16 17 18 Eurozone member state. ↑ Approval of the Brussels United Assembly is subject to an absolute majority of both language groups of the parliament (French and Dutch) voting in favour. Failing that, a second vote can be held where only one third of each language group, and a majority of the full house, is required for adoption. ↑ Non-eurozone state which has declared itself to be bound by Title III prior to its adoption of the euro. 1 2 Needs the approval of a constitutional majority. 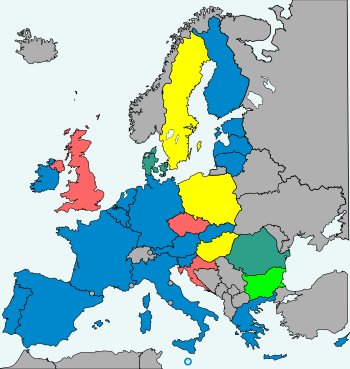 1 2 As non-eurozone member states, Denmark and Romania declared themselves fully bound by Titles III and IV, prior to their adoption of the euro. Denmark clarified in its declaration, that this did not constitute any obligation to be automatically bound by any subsequent EU regulations within the scope of Title III+IV when adopted on the basis of those provisions of the EU Treaties (Article 136-138) which are only applicable to member states of the eurozone. For example, neither Romania nor Denmark, became bound by the subsequently agreed Two-pack regulation. 1 2 The French constitutional court ruled that a constitutional amendment was not required to ratify the treaty, meaning that the French parliament could approve it with a simple majority. ↑ A vote with 2/3 constitutional majority of present MPs was needed, as the treaty delegated a part of the national competencies to International institutions. ↑ The Council of State of Luxembourg advised the parliament that even though the treaty's ratification did not require any changes to the constitution, it should still be approved by a 2/3 majority in parliament, as new powers – related to the validity check of enacted "implementation laws" – were transferred from the national level to the Commission and Court of Justice of the European Union. The responsible parliamentary Committee for Finances and the Budget decided in line with the Council of State's advice for a 2/3 majority for reasons of legal certainty of the law. ↑ It was formally noted (Dutch: Aantekening verleend) that the SP (8 of the 75 seats) would have voted against the proposal, had there been a vote. 1 2 As none of the Fiscal Compact provisions result in transfer of state authority competence to international organisations (EU) or international institutions (EU institutions), while the implementation into national law is possible without changing the Polish constitution, the ratification will only requirer a passing by simple majority in both chambers of the parliament. 1 2 The constitution requires all EU treaties to be passed with a two-thirds absolute majority in a joint session by the Senate and House of Representatives. As the Fiscal Compact was an intergovernmental treaty without provisions requirering a change of the constitution, it was however sufficient to ratify the treaty by votes with simple majority, in both chambers. ↑ According to the Slovakian procedural evaluation report, the treaty was voted for according to §86d and had been evaluated to be a §7(4) treaty. Hence, as regulated by the Slovakian constitution §84(3), it only called for a 50% majority of parliament members to get passed. Any non-signatory EU member state may accede to the Fiscal Compact without prior negotiations. Croatia: With their accession to the EU on 1 July 2013, Croatia became eligible to accede to the Fiscal Compact. United Kingdom: UK refused to sign the Fiscal Compact and future joining is not under consideration. Czech Republic: The Czech government did not sign the treaty in 2012, in part due to objections to the increased liabilities and that non-eurozone states were not granted observer status at all Eurogroup and Euro-summit meetings. Then Czech Prime Minister Petr Nečas also argued that there was no moral obligation for net-paying, fiscally sound countries outside the Eurozone, such as the Czech Republic, to ratify the fiscal responsibility treaty. There was also uncertainty over the domestic ratification process, with then President Vaclav Klaus, a staunch eurosceptic, stating that he would not give his assent to the treaty. However, Nečas stated that his country may join in the future. During the treaty negotiations, the Civic Democratic Party (ODS), which Nečas led, suggested that a referendum should decide whether the country ratified the treaty, while their junior coalition partner, TOP 09, opposed the idea and wanted only parliamentary approval for the treaty. In January 2013, Top 09 stated that they would only sign a revised coalition agreement for the remainder of the government's term if its partners, ODS and LIDEM, agreed to accede to the fiscal compact by the end of 2013. ODS rejected this ultimatum and stated that a constitutional amendment implementing the Fiscal Compact's debt and deficit provisions should be approved before ratifying the Fiscal Compact. Negotiations between the government and opposition to pass this proposed constitutional amendment, which will require a 3/5 majority, started in February 2013. The opposition Social Democratic Party (ČSSD) announced that they would support the Financial Constitution on 5 conditions, one of which was the ratification of the Fiscal Compact, and a bipartisan working group, with representation from all parliamentary parties, was established on 13 March 2013 to draft the proposed amendments. After Jiří Rusnok took over as caretaker Prime Minister following a government corruption scandal, he stated that a decision on the Czech Republic ratifying the Fiscal Compact would not be made until after parliamentary elections scheduled for October. President Miloš Zeman, who took over in March 2013 after winning the January presidential election, is considered to be "pro-EU" and supports the Czech Republic's accession to the Fiscal Compact, although not before they join the Eurozone, which he believes shouldn't occur before 2017. Following the parliamentary election, ČSSD, ANO and KDU-ČSL formed a coalition government which agreed to ratify the Fiscal Compact. ČSSD Prime Minister Bohuslav Sobotka supports ratifying the treaty, and his party has opposed holding a referendum on it. The opposition Top 09 party's election campaign called for parliamentary ratification of the Fiscal Compact as soon as possible. In late February 2014, Sobotka's government obtained the confidence of Parliament, and committed to starting the ratification of the Fiscal Compact within two months. Sobotka expected that ratification would be finalized within eight months. The cabinet approved accession to the Fiscal Compact on 23 March 2014, and the bill was introduced to the Chamber of Deputies on 11 April. To be approved, it will need the consent of a constitutional majority of 60% in both houses of parliament and a final consent of the Czech president. Barring any amendments, the bill if approved will lead to the accession of the Czech Republic to the Fiscal Compact without a declaration on the full application of all treaty titles immediately, meaning that only Title V will apply until the state adopts the euro. 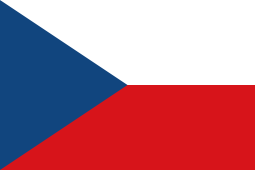 The Czech senate approved accession to the treaty on 27 August 2014. As of August 2015, approval by the Chamber of Deputies is still pending. The governing parties do not have sufficient votes in the Chamber to have the bill passed alone, and require the support of TOP 09. While TOP 09 supports the Fiscal Compact, they have said they will only support ratification if the Czech Republic declares itself bound by all provisions of the treaty immediately, rather than once they adopt the euro. In February 2015 the Czech government introduced bills which would enact some provisions of the Fiscal Compact into Czech law. A constitutional amendment was also proposed to embed the provisions in the Czech constitution. The draft reform package would introduce a debt rule for the general government as a whole as well as separately for local governments, transpose into national legislation crucial elements of Council Directive 2011/85/EU on budgetary frameworks, implement a modified expenditure rule that is consistent with the Medium-Term Objective, establish an independent fiscal council and provisions to improve transparency and fiscal data reporting. At the first reading of the constitutional fiscal responsibility bill, TOP 09 notified the ruling coalition that it would only support the constitutional bill if the Czech Republic's ratification of Fiscal Compact included a declaration for full Title III and IV commitments. The bills, but not the constitutional amendment, were approved by the Chamber in October 2016. After a country has completed its domestic ratification, it must deposit an instrument of ratification with the depositary (the General Secretariat of the Council of the European Union) to complete the process. If a legal complaint is filed with a constitutional court, this can delay the deposit and ratification, or even stop it if the court upholds the complaint. The list below summarises the progress of the ratification process. Belgium: The treaty needed the approval of the Belgium's upper and lower house as well as five other parliaments for ratification. On 14 March 2012 a motion was submitted to the Chamber of Representatives by members of the opposition calling for a referendum on the treaty. A similar motion was submitted to the Senate on 9 May, but a referendum was ultimately not held. Bulgaria: After months of political turmoil, the Bulgarian government resigned early on 20 February 2013 in response to protests, leading to elections on 12 May. The new government began the ratification process shortly after taking power. France: A presidential election on 22 April-6 May, shortly after the treaty was signed, delayed France's ratification. Newly elected president François Hollande promised during the campaign that he would only ratify the Fiscal Compact if the European Council agreed to a supplemental "Growth Pact". After the Compact for Growth and Jobs was adopted on 29 June 2012, the combined Fiscal Compact and Growth Pact bill, having received the support of the French government and president, was passed by both chambers of the National Assembly. Germany: Ratification was stalled following a complaint to the Federal Constitutional Court on the consistency of the Fiscal Compact with the German Basic Law. However, on 12 September 2012 the court rejected all applications for injunctions against ratification of the treaty. The court heard oral arguments on the merits of the case on 11–12 June 2013, with a final decision originally expected in the fall of 2013 but later pushed back to 2014. On 18 March the court released their decision which found that all the complaints against the Fiscal Compact were either inadmissible or unfounded. Ireland: A constitutional amendment, which authorised the government to ratify the Fiscal Compact, was approved by a referendum. However, the government opted to wait until the Fiscal Responsibility Bill 2012, which implemented the provisions required by the treaty into national law, was passed before formally completing their ratification of the treaty. The Oireachtas passed the Fiscal Responsibility Bill 2012 on 27 November, and the ratification process was completed with a deposit of the ratification instrument on 14 December 2012. 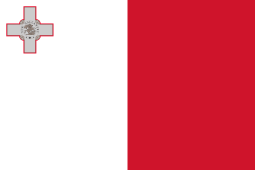 Malta: On 10 December 2012, after debate on the treaty in Malta's parliament had begun, the government lost a confidence vote in parliament on their 2013 budget, which resulted in parliament being dissolved and the president calling an early legislative election on 9 March 2013. Until then, a caretaker government ruled the country without the power to enact any new laws. After the Labour Party defeated the incumbent government in the election, the treaty was re-introduced in the parliament and passed unanimously on 11 June. Netherlands: The approval act was submitted to parliament in July 2012, but Parliamentary approval was delayed by a general election on 12 September 2012. After the People's Party for Freedom and Democracy (VVD) and Labour Party (PvdA) reached a coalition agreement to form a new two-party government on 29 October both houses approved the Compact. Poland: 20 members of parliament submitted a proposal on 31 January 2012 calling on the parliament to schedule a referendum on the ratification of the Fiscal Compact, but the proposal was never voted on. On 5 December, the bill to ratify the Fiscal Compact was submitted to the parliament with an attached legal evaluation stating that ratification only required a simple majority for approval in both chambers, rather than the constitutional 2/3 majority. In March, Sejm parliamentarians from the opposition Law and Justice (PiS) party challenged the ratification of the Fiscal Compact with the Constitutional Tribunal of the Republic of Poland, listing 14 violations of the Polish Constitution. They argued that ratification of the Compact required a two-thirds majority and that the text of the treaty is incompatible with the constitution. A separate challenge was filed by PiS Senators in early April claiming that they were not given sufficient time to consider ratification of the Compact, though it was subsequently combined with the original case by the court. On 21 May 2013, the Tribunal rejected both challenges on procedural grounds, arguing that the treaty had not been fully ratified by Poland, and thus its constitutionality could not yet be challenged and judged. The provisions regarding governance (Title V) are applicable to all signatories since the treaty's entry into force on 1 January 2013. For eurozone members that ratify, the treaty applies in full, pursuant to article 14. Non-eurozone countries will automatically become bound by all treaty provisions the moment they adopt the euro. Prior to that, only Title V applies to them, unless they by their own initiative make a declaration to the depositary "to be bound at an earlier date by all or part of the provisions in Titles III and IV". The applicability of the treaty's provisions to each country is summarized in the table below. The last column of the table reflects the status of compliant implementation laws, and denotes whether the Title III provisions (the "balanced budget rule" and "automatic correction mechanism") have been embedded into national legislation through an ordinary law subject to later revisions by simple majority, or also by a constitutional amendment of which later revisions will require a higher constitutional majority. The background color of the last column indicates whether or not the implementation law of the state is compliant with Title III, where green indicates compliance, while yellow and red indicate that existing national fiscal rules are non-compliant. As of January 2015, the compliance assessments are only based on unofficial sources and/or assessments made by a parliamentary committee of the concerned state. The first official independent assessment of the treaty compliance of the listed national implementation laws has been scheduled to be conducted by the European Commission in September 2015, for each of the states bound by the fiscal provisions (Title III). 1 2 3 4 As non-eurozone member states, Denmark and Romania declared themselves fully bound by Titles III and IV, prior to their adoption of the euro. Denmark clarified in its declaration, that this did not constitute any obligation to be automatically bound by any subsequent EU regulations within the scope of Title III+IV when adopted on the basis of those provisions of the EU Treaties (Article 136-138) which are only applicable to member states of the eurozone. For example, neither Romania nor Denmark, became bound by the subsequently agreed Two-pack regulation. 1 2 3 4 5 According to Article 14 (4), Title V applied provisionally from 1 January 2013, prior to ratification of the treaty. All titles applied from the day of entry into force of the treaty, as per Article 14 (3). ↑ On 1 January 2014, Latvia adopted the euro and automatically became bound by Title III+IV (the treaty in its entirety), according to Article 14 (5). 1 2 As a non-eurozone member state, Bulgaria declared itself bound by Title III, while Title IV will not apply until the state adopts the euro. 1 2 3 4 According to Article 14 (4), Title V applied provisionally from 1 January 2013, prior to ratification of the treaty. ↑ On 1 January 2015, Lithuania adopted the euro and automatically became bound by Title III+IV (the treaty in its entirety), according to Article 14 (5). ↑ Lithuania transposed the TSCG into its constitution, replacing its ordinary "Law on Fiscal Discipline" with effect from its euro adoption on 1 January 2015. The compliance of last years fiscal account and the equally important forecast fiscal accounts, with the criteria set by the Fiscal Compact, is summarized for each EU member state in the table below. The figures stem from the economic forecast published by the European Commission in November 2016, basing its forecast figures on the government's already implemented fiscal budget law 2016 and its recently proposed fiscal budget law for 2017. Non-exempted breaches of either the deficit or debt criteria in the Stability and Growth Pact (SGP), will lead the Commission to open up an Excessive Deficit Procedure (EDP) against the state through the publication of a 126(6) report, in which a deadline to rectify the issue is set - along with the request for the state to submit a compliant fiscal recovery and reform plan (referred to as an Economic Partnership Programme - or alternatively an Economic Adjustment Programme if the state receives a sovereign bailout). All current EDP deadlines are listed in the last column of the table. The table also list each member states' Medium-Term budgetary Objective (MTO) for its structural balance, and its current target year for achieving this MTO. Until the MTO has been achieved, all states are obliged to adhere to an adjustment path towards this country-specific target, where the structural balance must improve at least 0.5% points per year. The MTO depicts the most adverse structural balance per year the country can afford, when targeting that debt-to-GDP ratios first decline to below 60% and subsequently remain stable below this level for the next 50 years while adjusting for the forecast change of aging related costs. Beside existence of the debt dependent minimum limits for the MTO dictated by the Fiscal Compact, there is also existence of two other calculated minimum limits for the MTO determined by a formula ensuring respectively "a safety margin to respect the nominal 3%-limit during economic downturns" and "long-term sustainability of public finances taking into account the forecast for future adverse aging related costs". The final country-specific MTO minimum limit will be determined as the one respecting all of the three determined minimum limits (note: those non-eurozone states neither having entered ERM-II nor ratified a submission to Title III of the Fiscal Compact, are only required to respect the first two calculated minimum limits), and this final limit will be recalculated by the European Commission once every third year (most recently in October 2012). Subsequently, and as a final step, each state have the prerogative still to set its MTO at a level being stricter than the one calculated by the European Commission, but can not set it at a limit being worse. The states will communicate their final MTO selection in their annual Stability and Convergence Report, in which the attached target year for obtaining the selected MTO will also be revealed/updated according to the latest macroeconomic developments and success of the previously implemented fiscal policies by the concerned state. Green rows in the table reflect full compliance with the Fiscal Compact criteria, requiring the state to have achieved its MTO for the entire 2015-17 period. Yellow rows represent compliance with only the Stability and Growth Pact (SGP), as the state is still on an adjustment path to respect its MTO at a midterm horizon. Red rows reflect an "apparent breach" of the SGP's EDP-criteria (nominal debt/deficit rules), which as minimum will merit the publication of a 126(3) report to investigate if the "apparent breach" was "real" (with an EDP finally only opened against the state by the launch of a 126(6) report, if the breach was found to be "real" by the 126(3) report). 1 Did not sign the Fiscal Compact. 0000 2 EU 'balance of payments' programme. 0000 3 ESM/EFSM/EFSF programme. 0000 R Ratified, but not bound by fiscal provisions (Title III). T Transitional states, only required to have a declining debt-to-GDP ratio to the extent of ensuring full debt-criterion compliance by the end of their 3-year transition period following EDP abrogation. C Compliance: see Content/Title III/Debt brake - back: b2015 bb2015 - forward: b2017 bb2017 - transitional: fulfills old debt brake for each year of transition period. The noted ongoing EDPs will be abrogated, as soon as the concerned state for the period encompassing the last completed fiscal year (based on final notified data) and for the current and next year (based on forecast data), succeeds in delivering a general government account in full compliance with the SGP's deficit criteria (budget deficit no more than 3.0% of GDP) and the debt criterion (debt‑to‑GDP ratio below 60% - or sufficiently declining towards this level). The deadlines for EDP abrogations will only be extended if extraordinary circumstances occur - like a recession or severe economic downturn. As part of the increased surveillance efforts introduced by the Sixpack, all EDP's are now evaluated three times per year, based upon data from the Commission's economic outlook reports published in February, May and November. Member states involved in bailout programs are evaluated even more frequently and more in depth, through the so-called "Programme Reviews". EDP abrogations are normally announced in June, as they always await final notified data for the last completed fiscal year (being published in early May), but can occasionally also be announced later in the year (due to later arriving positive data revisions for recorded data or subsequent improvements materializing for its forecast data). The SGP and Fiscal Compact feature identical debt criteria, so they only differ compliance wise for the deficit criteria, where the Fiscal Compact sets the additional structural deficit criteria to be met as a main criteria (elevating its importance from the additional but less binding MTO adjustment path criteria). The debt-criterion has due to transitional reasons been split into three different requirements, being in place since the sixpack reform was implemented in November 2011. For states aspiring to have their ongoing 2011‑EDP abrogated based on compliance with the debt-criterion, this will require they deliver a declining debt-to-GDP ratio for the last year in the forecast horizon, which was even changed to "no declining requirement at all" - as per the latest revised procedure published in 2013. The second debt-criterion is the so-called "transitional criteria", applying for states with an abrogated 2011‑EDP throughout a three-year transition period, in which the debt ratio is required to decline steadily towards full compliance with the debt brake benchmark rule by the end of the transition period - by annual improvements equal to the calculated Minimum Linear Structural Adjustment (MLSA) of its general government deficit. Finally in the fourth year after the 2011‑EDP has been abrogated, all transitional states will be assessed for compliance with the normal "debt brake benchmark rule" (which also apply towards states that never had a 2011‑EDP). The new "debt brake benchmark rule" require the state to deliver, either for the three year backward-looking or cyclically adjusted backward-looking or forward-looking period, an annual debt-to-GDP ratio decrease of at least 5% of the benchmark value in excess of the 60% limit. As Germany and Malta both had their 2011‑EDP abrogated in 2012, these two states will need to comply with the "debt brake benchmark rule" starting from Fiscal Year 2014, with their first official debt-reduction evaluation expected to be published shortly after the year has ended - and at the latest when the Commission publish its assessment of the next Stability Programmes of the member states in May 2015. Among the member states with a debt-to-GDP ratio above 60% in 2013, Croatia was the first one being required to comply with the new "debt brake benchmark rule" in January 2014, where the European Commission concluded no compliance was found, due to both its debt-to-GDP ratio and cyclically adjusted debt-to-GDP ratio exceeding its calculated backward-looking benchmark limit in 2013 (75.7% 61.4% and 71.3%* 61.4%) and due to its forecast forward-looking debt-to-GDP ratio exceeding its calculated benchmark limit in 2015 (84.9% 72.9%). 1 2 3 "EU summit: All but two leaders sign fiscal treaty". BBC News. 2 March 2012. Retrieved 2 March 2012. 1 2 3 4 5 6 7 8 9 10 11 12 "Treaty on Stability, Coordination and Governance in the Economic and Monetary Union". consilium.europa.eu. Council of the European Union. Retrieved 14 August 2012. ↑ Nicholas Watt (31 January 2012). "Lib Dems praise David Cameron for EU U-turn". The Guardian. London. Retrieved 5 February 2012. ↑ "The fiscal compact ready to be signed". European Commission. 31 January 2012. Retrieved 5 February 2012. ↑ "Referendum to be held on Fiscal Treaty". RTÉ News. 28 February 2012. ↑ "Fiscal compact enters into force 21/12/2012 (Press: 551, Nr: 18019/12)" (PDF). European Council. 21 December 2012. Retrieved 21 December 2012. 1 2 "Summary of the Fiscal Stability Treaty". Ireland: Citizens Information Board. 17 April 2012. Retrieved 14 August 2012. 1 2 "Treaty on Stability, Coordination and Governance in the Economic and Monetary Union (TSCG)" (PDF). European Council. 2 March 2012. Retrieved 17 August 2012. 1 2 "Communication from the Commission: Common principles for national fiscal correction mechanisms (COM/2012/0342 final)" (PDF). EUR-Lex (European Commission). 20 June 2012. Retrieved 23 November 2012. ↑ Jean-Claude Trichet (23 October 2007). "Building Europe in a globalised world". European Central Bank. ↑ "Soft centre". Economist. 11 June 2009. ↑ Hamilton, Scott (12 May 2010). "King Says Crisis Shows It's `Very Clear' That Euro Area Needs Fiscal Union". Bloomberg. Retrieved 9 December 2011. ↑ Münchau, Wolfgang (14 March 2010). "Shrink the eurozone, or create a fiscal union" (fee required). The Financial Times. Retrieved 9 December 2011. 1 2 "Communication from the Commission: A blueprint for a deep and genuine economic and monetary union – Launching a European Debate" (PDF). European Commission. 30 November 2012. Retrieved 12 May 2013. ↑ Quentin Peel; Ben Hall; Tony Barber (8 March 2010). "Merkel warns of hurdles in EMF plan". Financial Times. Retrieved 13 May 2013. ↑ Wolfgang Schäuble (11 March 2010). "Why Europe's monetary union faces its biggest crisis". Financial Times. Retrieved 13 May 2013. ↑ "Press release: Extraordinary Council meeting by Economic and Financial Affairs (Brussels, 9/10 May 2010)" (PDF). Consilium.europa.eu. 9 May 2010. Retrieved 13 May 2013. The Council and the member states decided on a comprehensive package of measures to preserve financial stability in Europe, including a European financial stabilisation mechanism, with a total volume of up to EUR 500 billion. ↑ "EFSF becomes fully operational". Efsf.europa.eu. 4 August 2010. Retrieved 13 May 2013. ↑ Schäfer, Daniel; Hall, Ben (16 May 2010). "Berlin calls for eurozone budget laws". Financial Times. Retrieved 1 December 2011. ↑ "Trichet opposes deal on EU budget rules". Ft.com. 20 October 2010. Retrieved 13 December 2011. ↑ "France and Germany propose EU 'competitiveness pact'". Bbc.co.uk. 4 February 2011. Retrieved 13 December 2011. ↑ "EU needs 'competitiveness pact': Zapatero". Expatica.com. Retrieved 13 December 2011. ↑ Rick Noack (2 December 2011). "Merkel seeks urgent action on debt crisis". CNN. ↑ Helen Pidd (2 December 2011). "Angela Merkel vows to create 'fiscal union' across eurozone". London: The Guardian. ↑ Stephen Castle (30 November 2011). "European Finance Ministers Look to Strengthen E.U. Rules". New York Times. ↑ Mario Draghi (1 December 2011). "Hearing before the Plenary of the European Parliament on the occasion of the adoption of the Resolution on the ECB's 2010 Annual Report". European Central Bank. ↑ "Council reaches agreement on measures to strengthen economic governance" (PDF). Retrieved 15 April 2011. ↑ Jan Strupczewski (15 March 2011). "EU finmins adopt tougher rules against debt, imbalance". Uk.finance.yahoo.com. Retrieved 15 April 2011. 1 2 Pidd, Helen (2 December 2011). "Angela Merkel vows to create 'fiscal union' across eurozone". London: Guardian. Retrieved 2 December 2011. 1 2 Fletcher, Nick (9 December 2011). "European leaders resume Brussels summit talks: live coverage". London: Guardian. Retrieved 9 December 2011. ↑ M Nicolas Firzli (Jan. 2010), Orthodoxie financière et régulation bancaire: les leçons du Glass-Steagall Act (Bank Regulation and Financial Orthodoxy: the Lessons from the Glass-Steagall Act) (PDF) (in French), retrieved 2010-01-08 . ↑ "see Ionescu Romeo, "Romania and Greece: Together or Alone", AJBM Vol. 4(19), p. 4197, December, 2010 [Quoting Q1 2010 article (in French) by M. Nicolas J. Firzli in Revue Analyse Financière]" (PDF). Retrieved 29 March 2011. ↑ Baker, Luke (9 December 2011). "WRAPUP 5-Europe moves ahead with fiscal union, UK isolated". Reuters. Retrieved 9 December 2011. ↑ "Draft EU Fiscal Compact Treaty" (PDF). Retrieved 2014-01-24. ↑ "European Council Press releases". European Council. 9 December 2011. Retrieved 9 December 2011. ↑ Faiola, Anthony; Birnbaum, Michael (9 December 2011). "23 European Union leaders agree to fiscal curbs, but Britain blocks broad deal". Washington Post. Retrieved 9 December 2011. 1 2 Wearden, Graeme; Fletcher, Nick (31 January 2012). "Eurozone crisis live: Greece back in spotlight after EU summit". London: Guardian. Retrieved 31 January 2012. 1 2 3 "Czechs join UK in rejecting EU fiscal pact". 31 January 2012. Retrieved 31 January 2012. ↑ "Factbox – Main points of the EU fiscal compact". Reuters. 2 March 2012. Retrieved 2012-11-09. ↑ "Fiscal treaty referendum to be held 31 May". RTÉ News. 27 March 2012. 1 2 "The Fiscal Stability Treaty: what happens next?". RTÉ. 31 January 2012. Retrieved 31 January 2012. 1 2 3 4 "Report on Public finances in EMU 2012". European Economy 4/2012. European Commission (DG for Economic and Financial Affairs). 18 July 2012. Retrieved 30 April 2013. 1 2 "Specifications on the implementation of the Stability and Growth Pact, and Guidelines on the format and content of Stability and Convergence Programmes" (PDF). European Commission. 3 September 2012. Retrieved 13 August 2014. 1 2 3 4 5 6 7 "Vade mecum on the Stability and Growth Pact" (PDF). European Commission. 8 July 2013. 1 2 3 "Council Regulation (EU) No 1177/2011 of 8 November 2011 amending Regulation (EC) No 1467/97 on speeding up and clarifying the implementation of the excessive deficit procedure". Official Journal of the European Union. 23 November 2011. 1 2 3 "Excessive deficit procedure". European Commission. 8 October 2012. Retrieved 8 October 2012. ↑ "COMMISSION STAFF WORKING DOCUMENT: Analysis of the Draft Budgetary Plan of Belgium (Accompanying the document: COMMISSION OPINION on the Draft Budgetary Plan of Belgium)" (PDF). European Commission. 15 November 2013. 1 2 "Fiscal Sustainability Report 2012" (PDF). European Economy 8/2012. European Commission (DG for Economic and Financial Affairs). 18 December 2012. Retrieved 30 April 2013. ↑ "COMMISSION STAFF WORKING DOCUMENT: Analysis by the Commission services of the budgetary situation in France following the adoption of the COUNCIL RECOMMENDATION to France on 21 June 2013 with a view to bringing an end to the situation of an excessive government deficit" (PDF). European Commission. 27 February 2015. 1 2 "Eurogroup Statement on the Draft Budgetary Plans 2015" (PDF). Eurogroup. 8 December 2014. 1 2 "Remarks by J. Dijsselbloem following the Eurogroup meeting of 13 July 2015". Eurogroup. 13 July 2015. ↑ "European economic policy: A profile of the coordination mechanisms" (PDF). Deutsche Bank. 2 May 2012. 1 2 "Council of the European Union conclusions 24/25 March 2011 (Annex 1: The Euro Plus Pact)" (PDF). Council of the EU. 25 March 2011. Retrieved 5 May 2013. ↑ "Ex ante coordination of major economic reform plans –report on the pilot exercise". Council of the European Union (Economic and Financial Committee). 17 June 2014. ↑ "Council recommendation of 27.4.2010: On broad guidelines for the economic policies of the Member States and of the Union - Part I of the Europe 2020 Integrated Guidelines" (PDF). European Commission. 27 April 2010. 1 2 3 4 5 "Denmark declaration". Council of the European Union. Retrieved 2014-01-22. 1 2 3 "Romania declaration". Council of the European Union. Retrieved 2014-01-22. 1 2 3 "Bulgaria declaration". Council of the European Union. Retrieved 2014-01-22. ↑ "Latvia becomes the 18th Member State to adopt the euro". European Commission. 2013-12-31. Retrieved 2013-12-31. 1 2 3 4 "Ratification requirements and present situation in the member states: Article 136 TFEU, ESM, Fiscal Stability Treaty (January 2014)" (PDF). European Parliament (Policy Department). 15 January 2014. Retrieved 18 January 2014. 1 2 "Table on the ratification process of amendment of art. 136 TFEU, ESM Treaty and Fiscal Compact" (PDF). European Parliament. 27 September 2013. Retrieved 28 September 2013. ↑ "ESM und Fiskalpakt nehmen Hürden im Nationalrat" (in German). ↑ "Bundesrat genehmigt mehrheitlich ESM und Fiskalpakt". Parliament of Austria (in German). Retrieved 2 March 2013. ↑ "Bundespräsident.at : Bundespräsident Heinz Fischer unterzeichnet Fiskalpakt und ESM-Vertrag". Bundespraesident.at. 2012-07-17. Retrieved 2014-01-24. 1 2 "Fiche du dossier". Senate.be. Retrieved 2014-01-24. ↑ "COMPTE RENDU ANALYTIQUE" (PDF). CHAMBRE DES REPRÉSENTANTS DE BELGIQUE. 2013-06-20. Retrieved 2014-01-24. ↑ "Site internet du Parlement wallon - Résultat de la recherche". Parlement.wallonie.be. 2013-12-20. Retrieved 2014-01-24. ↑ "COMPTE RENDU AVANCÉ" (PDF). PARLEMENT WALLON. 2013-12-20. Retrieved 2014-01-24. ↑ "Ausführlicher Bericht – Plenarsitzung vom 14. Oktober 2013" (PDF). dgparlament.be. Retrieved 2014-02-03. ↑ Parlament im Bild: Plenarsitzung vom 12. Dezember 2013. Parlament der Deutschsprachigen Gemeinschaft (in German). 2013. Event occurs at 4:26:30. Retrieved 18 January 2014. ↑ "Projet de décret portant assentiment au Traité sur la stabilité, la coordination et la gouvernance au sein de l'Union économique et monétaire entre le Royaume de Belgique, la République de Bulgarie, le Royaume de Danemark, la République fédérale d'Allemagne, la République d'Estonie, l'Irlande, la République hellénique, le Royaume d'Espagne, la République française, la République italienne, la République de Chypre, la République de Lettonie, la République de Lituanie, le Grand-Duché de Luxembourg, la Hongrie, Malte, le Royaume des Pays-Bas, la République d'Autriche, la République de Pologne, la République portugaise, la Roumanie, la République de Slovénie, la République slovaque, la République de Finlande et le Royaume de Suède, et au Procès-verbal de signature du Traité sur la stabilité, la coordination et la gouvernance au sein de l'Union économique et monétaire, faits à Bruxelles le 2 mars 2012 — Parlement de la Fédération Wallonie-Bruxelles / Communauté française" (in French). Pfwb.be. Retrieved 2014-01-24. ↑ "BRUSSELS HOOFDSTEDELIJK PARLEMENT, INTEGRAAL VERSLAG, PLENAIRE VERGADERING VAN VRIJDAG 20 DECEMBER 2013,VOORLOPIG VERSLAG" (PDF). Irisnet. 20 December 2013. Retrieved 23 December 2013. ↑ "Recherche Projets et propositions". Weblex.irisnet.be. Retrieved 2014-01-24. ↑ "Assemblée réunie". Common Community Commission. Retrieved 2013-05-31. 1 2 "VERENIGDE VERGADERING VAN DE GEMEENSCHAPPELIJKE GEMEENSCHAPSCOMMISSIE ASSEMBLÉE RÉUNIE DE LA COMMISSION COMMUNAUTAIRE COMMUNE, COMPTE RENDU INTÉGRAL, 20 DECEMBRE 2013" (PDF) (in French and Dutch). 20 December 2013. Retrieved 23 December 2013. 1 2 "Parliamentary report" (PDF). Retrieved 2014-01-24. ↑ "Projet de décret portant assentiment au traité sur la stabilité, la coordination et la gouvernance au sein de l'Union économique et monétaire entre le Royaume de Belgique, la République de Bulgarie, le Royaume de Danemark, la République fédérale d'Allemagne, la République d'Estonie, l'Irlande, la République hellénique, le Royaume d'Espagne, la République française, la République italienne, la République de Chypre, la République de Lettonie, la République de Lituanie, le Grand-Duché de Luxembourg, la Hongrie, Malte, le Royaume des Pays-Bas, la République d'Autriche, la République de Pologne, la République portugaise, la Roumanie, la République de Slovénie, la République slovaque, la République de Finlande et le Royaume de Suède, fait à Bruxelles, le 2 mars 2012 — Parlement Francophone Bruxellois" (in French). Pfb.irisnet.be. 2013-12-20. Retrieved 2014-01-24. ↑ "Séance plénière des jeudi 19 et vendredi 20 décembre 2013, VERSION PROVISOIRE DU 31 DECEMBRE 2013, Compte rendu no 59". Irisnet.be. 31 December 2013. p. 39. Retrieved 12 January 2014. 1 2 "Законопроекти". National Assembly of Bulgaria. Retrieved 2013-11-11. ↑ "Народно събрание на Република България - Стенограми от пленарни заседания". Parliament.bg. Retrieved 2014-01-24. ↑ "регистрасии и гласубания по ПГ" (PDF). parliament.bg. 2013-11-28. Retrieved 2014-01-24. ↑ "УКАЗ № 240". National Assembly of Bulgaria. 2013-12-03. Retrieved 2013-12-10. 1 2 3 "Sněmovní tisk 170 - Sml.o stabilitě, koordinaci a správě v hosp. a měnové unii". Chamber of Deputies of the Parliament of the Czech Republic. Retrieved 2014-04-11. 1 2 3 "Vláda schválila přistoupení Česka k fiskálnímu paktu EU". CTK. 2014-02-20. Retrieved 2014-03-24. 1 2 "Vládní návrh, kterým se předkládá Parlamentu České republiky k vyslovení souhlasu s přístupem Smlouva o stabilitě, koordinaci a správě v hospodářské a měnové unii". Chamber of Deputies of the Parliament of the Czech Republic. Retrieved 2014-08-27. ↑ "Issue No. 4157 App. 7 Part I (Issue date 29 June 2012, Page No. 81)" (in Greek). Cyprus Government Gazette. 29 June 2012. Retrieved 26 September 2012. ↑ "B 70 Forslag til folketingsbeslutning om Danmarks ratifikation af traktaten af 2. marts 2012 om stabilitet, samordning og styring i Den Økonomiske og Monetære Union (finanspagten).". Folketinget. ↑ "Statsråd på Christiansborg Slot, kl. 8.00, 18. juni 2012" (in Danish). Kongehuset. 18 June 2012. Retrieved 21 September 2012. ↑ "Voting: Wednesday 17th October 2012 at 14:26" (in Estonian). Riigikogu Press Service. 17 October 2012. Retrieved 17 October 2012. ↑ "Majandus- ja rahaliidu stabiilsuse, koordineerimise ja juhtimise lepingu ratifitseerimise seadus 249 SE" (in Estonian). Riigikogu press service. 11 June 2012. Retrieved 19 August 2012. ↑ "Government proposal to Parliament: HE 155/2012vp" (in Finnish). Eduskunta. 8 November 2012. Retrieved 27 November 2012. ↑ "Voting nr.6: The second reading of HE 155/2012vp – VaVM 38/2012vp" (in Finnish). Eduskunta. 18 December 2012. Retrieved 18 December 2012. ↑ "Law on the Implementation of the provisions of a legislative nature of the Treaty on stability...and on the application of the Treaty and the requirements of the multiannual framework for public finances (869/2012)" (in Swedish). Finlex. 21 December 2012. Retrieved 15 January 2013. 1 2 "French court rules no constitutional change for EU pact". EUbusiness. 9 August 2012. Retrieved 2012-11-26. 1 2 "Poll No. 3 – 11 October 2012 meeting" (in French). French Senate. 11 October 2012. Retrieved 11 October 2012. ↑ "Sénat – Compte rendu analytique officiel du 11 octobre 2012". Senat.fr. Retrieved 2014-01-24. 1 2 "Analyse du scrutin sur l'ensemble du projet de loi autorisant la ratification du traité sur la stabilité, la coordination et la gouvernance au sein de l'Union économique et monétaire (1re lecture).". assemblee-nationale.fr. 9 October 2012. Retrieved 9 October 2012. ↑ "Legislative process for law No.2012-1171 of 22 October 2012". Senate of France. 23 October 2012. Retrieved 23 October 2012. ↑ "German parliament approves euro crisis-fighting tools". StarAfrica.com. 29 June 2012. Retrieved 28 September 2012. ↑ "Breite Mehrheit für Fiskalpakt und Rettungsschirm" (in German). Deutscher Bundestag. 29 June 2012. Retrieved 28 September 2012. ↑ "Gauck unterzeichnet ESM-Gesetz und Fiskalpakt" (in German). Frankfurter Allgemeine Zeitung. 13 September 2012. Retrieved 13 September 2012. 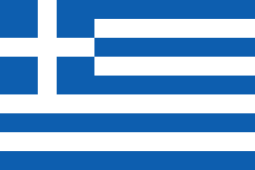 ↑ "Plenary Session 28/03/2012 in the Greek Parliament" (PDF) (in Greek). Hellenic Parliament. 28 March 2012. Retrieved 20 December 2012. 1 2 "T/10220 – A gazdasági és monetáris unióbeli stabilitásról, koordinációról és kormányzásról szóló szerződés kihirdetéséről" (in Hungarian). National Assembly of Hungary. Retrieved 2013-03-28. ↑ "Thirtieth Amendment of the Constitution (Treaty on Stability, Coordination and Governance in the Economic and Monetary Union) Bill 2012: Dáil Éireann Committee Stage and Remaining Stages". Oireachtas. 3 May 2012. Retrieved 19 August 2012. ↑ "Thirtieth Amendment of the Constitution (Treaty on Stability, Coordination and Governance in the Economic and Monetary Union) Bill 2012: Seanad Éireann Committee Stage and Remaining Stages". Oireachtas. 17 May 2012. Retrieved 19 August 2012. 1 2 "Ireland sets May 31 date for EU treaty referendum". Bloomberg BusinessWeek. 27 March 2012. Retrieved 27 March 2012. 1 2 "Fiscal Treaty Referendum". The Irish Times. Retrieved 1 June 2012. 1 2 "Legislation Signed by President Higgins". Official website. Office of the President. 27 June 2012. Retrieved 27 June 2012. ↑ "Thirtieth Amendment of the Constitution -TSCG in the EMU- Bill 2012 (parliamentary status)". Oireachtas. 27 June 2012. Retrieved 27 June 2012. ↑ "Italian Senate approves EU budget pact". Agence France-Presse. 12 July 2012. Retrieved 12 July 2012. ↑ "Via libera a Fiscal compact e al meccanismo di stabilità a tutela dell'euro (Esm)". Il Sole 24 ORE (in Italian). 19 July 2012. Retrieved 2 March 2013. ↑ "Settimana degli atti firmati" (in Italian). 1 2 "Saeima ratificē ES fiskālās disciplīnas līgumu". Latvijay Republikas Saeima (in Latvian). 31 May 2012. Retrieved 2 June 2012. ↑ "EU fiscal pact nears approval". The Baltic Times. 24 May 2012. Retrieved 25 May 2012. ↑ "Bill status for The Treaty on stability, coordination and management of economic and monetary union (243/Lp11)". Latvijay Republikas Saeima (in Latvian). 13 June 2012. Retrieved 26 September 2012. ↑ "Par Līgumu par stabilitāti, koordināciju un pārvaldību ekonomiskajā un monetārajā savienībā (243/Lp11)" (PDF). Latvijay Republikas Saeima (in Latvian). 13 June 2012. Retrieved 26 September 2012. ↑ "Lithuanian parliament ratifies EU's key fiscal pact". The financial. 29 June 2012. Retrieved 2012-09-28. ↑ "Valstybės Žinios, 2012.07.04, Nr. : 78, Publ. Nr. : 4037". LITLEX. 4 July 2012. Retrieved 18 August 2012. ↑ "Notice of the State Council (21/12/2012) on Bill approving the TSCG" (PDF) (in French). Council of State (Luxembourg). 21 December 2012. Retrieved 25 December 2012. ↑ "Rapport de la Commission de finances et du budget" (PDF). Chambre des Députés (in French). 18 February 2013. Retrieved 2 March 2013. ↑ "Bulletin des Votes" (PDF). Chambre des Députés (in French). Retrieved 2 March 2013. ↑ "Rôle des affaires: (6449) Projet de loi portant approbation du traité sur la stabilité, la coordination et la gouvernance au sein de l'Union économique et monétaire" (in French). Chamber of Deputies. 10 July 2012. Retrieved 18 September 2012. ↑ "Constitution.fm" (PDF). Retrieved 2014-02-02. 1 2 Cordina, John (2013-06-12). "Fiscal compact finally ratified by Malta". The Malta Independent. Retrieved 2013-06-17. 1 2 "Goedkeuring Verdrag inzake stabiliteit, coördinatie en bestuur in de economische en monetaire unie" (in Dutch). Senate of the Netherlands. Retrieved 2013-05-04. ↑ "Detail - Tweede Kamer der Staten-Generaal". Tweedekamer.nl. Retrieved 2014-01-24. ↑ "Wet van 26 juni 2013" (PDF). Staatsblad (in Dutch) (290). ↑ "Głosowanie nr 5 – posiedzenie 34" (in Polish). Sejm. 20 February 2013. Retrieved 2013-02-20. 1 2 3 "Justification for: The government bill on the ratification of the Treaty on stability (no.961)" (Docx). Sejm. 4 December 2012. Retrieved 11 December 2012. ↑ "Głosowanie nr 64 – posiedzenie 27" (in Polish). Senate of Poland. 21 February 2013. Retrieved 2013-02-21. ↑ "Pakt fiskalny ratyfikowany" (in Polish). President of Poland. Retrieved 2013-07-25. ↑ "Portugal first to approve EU fiscal pact". BBC. 13 April 2012. Retrieved 17 April 2012. ↑ "Portugal parlt passes EU fiscal pact by huge majority". Reuters. 13 April 2012. Retrieved 17 April 2012. ↑ "Status website for the Portuguese ratification". Parlamento.pt. Retrieved 2014-01-24. ↑ "Approved Diploma: Resolution of AR 84/2012 (Approving the Treaty on Stability Coordination and Governance in Economic and Monetary Union)" (PDF) (in Portuguese). Assembleia da República. 3 July 2012. Retrieved 30 September 2012. ↑ "Constitution of Romania". Cdep.ro. Retrieved 2014-01-24. ↑ "Proces legislativ la Senat: PL L243/2012". Senatul României (in Romanian). 21 May 2012. Retrieved 25 May 2012. ↑ "PL-x nr. 39/2012 Proiect de Lege pentru ratificarea Tratatului privind stabilitatea, coordonarea și guvernanța în cadrul Uniunii Economice și Monetare (...)". Camera Deputaţilor. 8 May 2012. Retrieved 25 May 2012. ↑ "Monitorul Oficial nr. 410/20.6.2012". Juridice.Ro. 2012-06-20. Retrieved 2014-01-24. ↑ "Decret semnat de către președintele României, Traian Băsescu". Amosnews.ro. 2012-06-13. Retrieved 2014-01-24. ↑ "The National Council of the Slovak Republic – voting members: Proposal to a vote of approval from the National Council of the Slovak Republic to the Treaty on stability" (in Slovak). Narodna Rada (Slovenskej Republiky). 18 December 2012. Retrieved 18 December 2012. ↑ ELET (2014-01-20). "Prezident SR – Správy tlačového oddelenia". Prezident.sk. Retrieved 2014-01-24. ↑ Agency France-Presse (19 April 2012). "Slovenia ratifies EU budget treaty". MSN Business. Retrieved 19 April 2012. ↑ (Slovene) "ZADEVA: Besedila zakonov – razglasitev" (PDF) (in Slovenian). National Assembly (Slovenia). 30 April 2012. Retrieved 18 July 2012. ↑ "Final vote number: 1030, 18-July-2012" (in Spanish). Spanish Senate. 18 July 2012. Retrieved 30 September 2012. ↑ "DS. Pleno y Diputación Permanente Congreso, 43 pág: 4 Fecha:21-JUN-2012. Aprobación en lectura única. Votación de conjunto." (in Spanish). Congreso de Los Diputados. 21 June 2012. Retrieved 30 September 2012. ↑ "Ley Orgánica 3/2012, de 25 de julio". Boletín Oficial del Estado (in Spanish). ↑ "Betänkande 2012/13:FiU28 Fördraget om stabilitet, samordning och styrning inom Ekonomiska och monetära unionen". Sveriges Riksdag (in Swedish). Retrieved 27 December 2013. 1 2 "The main arguments of Prime Minister Petr Nečas regarding why the Czech Republic has not committed to ratification of the fiscal compact". Government of the Czech Republic. 6 February 2012. Retrieved 6 December 2012. ↑ Cameron, Rob (31 January 2012). "Why Czechs rejected Euro pact". BBC. Retrieved 2012-12-27. 1 2 "Czech Republic mulls referendum on fiscal pact". EURactiv.com. 20 January 2012. Retrieved 16 January 2013. ↑ "Government parties fail to agree on EU's fiscal compact". Prague Daily Monitor. 1 February 2013. Retrieved 2013-02-09. ↑ Willoughby, ian (30 January 2013). "TOP 09 demand opens fresh fissure in weak coalition". Radio Prague. Retrieved 2013-02-09. 1 2 "Zaorálek: Adopt euro ASAP". The Prague Post. 2014-01-30. Retrieved 2014-02-01. ↑ "FinMin admits softening draft budget responsibility rules". Prague Daily Monitor. 4 February 2013. Retrieved 2013-02-09. ↑ "5 conditions of ČSSD regarding the adoption of the fiscal constitution". Czech Social Democratic Party. 19 February 2013. Retrieved 2 May 2013. ↑ "Fiscal Constitution: A step towards Europe". Czech Social Democratic Party. 13 March 2013. Retrieved 2 May 2013. ↑ "Czech govt not to make further defence cuts - PM". 2013-08-26. Retrieved 2013-08-26. ↑ Rousek, Leos (12 January 2013). "Two Pro-EU Candidates Advance in Czech Election". Wall Street Journal. Retrieved 2013-01-13. ↑ "The new president's first steps". The Economist. 8 April 2013. Retrieved 2013-04-10. ↑ Spiegel, Peter (2013-09-22). "Czech president takes swipe at Europe's 'great mice'". Financial Times. Retrieved 2013-09-26. ↑ "Factbox - Czech centre-left coalition's policy agreement". Reuters. 2013-12-13. Retrieved 2013-12-21. ↑ Lopatka, Jan (2014-01-29). "Czech president appoints centre-left cabinet, ending power vacuum". Reuters. Retrieved 2014-02-01. ↑ "Euro adoption is not government coalition target - FinMin Babis". 2014-02-06. Retrieved 2014-02-08. ↑ Lopatka, Jan; Muller, Robert (2014-01-17). "Czech center-left leader becomes PM, seeking closer EU ties". Reuters. Retrieved 2014-01-17. ↑ Lopatka, Jan; Muller, Robert (22 October 2012). "Czech leftists see chance to take power, eye tax hikes". Reuters. Retrieved 2012-10-29. ↑ "Czechs deeply divided on EU's fiscal union". Radio Praha. 19 January 2012. Retrieved 17 January 2013. ↑ "TOP 09 starts election campaign". 2013-09-12. Retrieved 2013-09-26. ↑ "Czechs give up EU rights charter opt-out, plan joining fiscal pact". Reuters. 2014-02-19. Retrieved 2014-02-21. 1 2 "Premiér Sobotka se v Bruselu setkal s předsedou Evropské komise Barrosem i předsedou Evropského parlamentu Schulzem". Government of the Czech Republic. 2014-02-20. Retrieved 2014-02-21. ↑ Fox, Benjamin (2014-02-20). "Czech government to give up EU Charter opt-out". Retrieved 2014-02-21. ↑ Oliver, Christian. "New Czech prime minister vows to ratify EU fiscal compact". Financial Times. ↑ "Remarks by President Barroso following his meeting with Czech Prime Minister Bohuslav Sobotka". European Commission. 2014-02-20. Retrieved 2014-02-21. ↑ "Czech Cabinet Approves the Fiscal Compact as part of Adjusting Its EU Policy". Government of the Czech Republic. 2014-03-24. Retrieved 2014-05-02. ↑ "Presentation Report to Parliament: A proposal for the accession of the Czech Republic to the Treaty on Stability, Coordination and Governance in the Economic and Monetary Union" (in Czech). Parlament České republiky, Poslanecká sněmovna. 10 April 2014. ↑ "Vláda chce fiskální pakt EU s výjimkami, TOP 09 žádá víc". 2014-05-14. Retrieved 2015-03-26. ↑ "Kalousek nabídl vládě, za co TOP 09 podpoří všechny její rozpočty". 2014-05-13. Retrieved 2015-03-26. ↑ "Bez TOP 09 to nepůjde, svoboda se zadlužovat je iluzorní, říká premiér". 2014-05-14. Retrieved 2015-03-26. ↑ "Senát odkýval přistoupení Česka k fiskálnímu paktu, schází souhlas poslanců". 2014-08-24. Retrieved 2015-03-26. ↑ "Česká republika se přiblížila k eurozóně, senátoři schválili přistoupení k fiskálnímu paktu". 2014-08-27. Retrieved 2015-03-26. ↑ "Czech cabinet approves debt limit to stem excess borrowing". Reuters. 2015-02-23. Retrieved 2015-03-24. ↑ "Sněmovní tisk 413 Vl.n.z. o změně zák. v souvisl. s přij. zák. o rozp.odpověd. - EU". Chamber of Deputies of the Parliament of the Czech Republic. Retrieved 2016-10-25. ↑ "Sněmovní tisk 412 Vl.n.z. o pravidlech rozpočtové odpovědnosti - EU". Chamber of Deputies of the Parliament of the Czech Republic. Retrieved 2016-10-25. ↑ "Sněmovní tisk 411 Vl.n. ústavního z. o rozpočtové odpovědnosti - EU". Chamber of Deputies of the Parliament of the Czech Republic. Retrieved 2015-03-30. ↑ "The law on fiscal responsibility (Zákon o rozpočtové odpovědnosti)" (in Czech). Ministry of Finance of the Czech Republic. 23 February 2015. ↑ "COMMISSION STAFF WORKING DOCUMENT: Country Report Czech Republic 2015" (PDF). European Commission. 26 February 2015. ↑ "Stenographic protocol > 26th Meeting > Wednesday, March 11, 2015: The combined debate on points 15, 16 and 17" (in Czech). Poslanecká sněmovna. 11 March 2015. ↑ "La chambre – 1". Lachambre.be. Retrieved 2014-01-24. ↑ "Proposal for resolution on the organization of a referendum on the Treaty on stability, coordination and governance in the economic and monetary union" (in French). Belgian Senate. 9 May 2012. Retrieved 19 September 2012. ↑ "Bulgarian government resigns amid growing protests". Reuters. 20 February 2013. ↑ "Compact for Growth and Jobs (Good discussion on growth and jobs)". European Council. 29 June 2012. Retrieved 28 November 2012. ↑ "Conseil des ministres du 19 septembre 2012: Paquet européen" (in French). Portail du Gouvernement. 19 September 2012. Retrieved 19 September 2012. ↑ "Report nr.205 to National Assembly – On behalf of the committee on Foreign Affairs about bill No.197 (expedited procedure)" (in French). National Assembly. 26 September 2012. Retrieved 27 September 2012. ↑ Peel, Quentin (12 September 2012). "German court backs ESM bailout fund". Financial Times. Retrieved 12 September 2012. ↑ "Accreditation Conditions and Information for Journalists and Visitors Concerning the Oral Hearing in the "ESM/ECB" Principal Proceedings". Federal Constitutional Court of Germany. 2013-05-14. Retrieved 2013-05-16. ↑ "Principal Proceedings ESM/ECB: Pronouncement of the Judgment and Referral for a Preliminary Ruling to the Court of Justice of the European Union". Federal Constitutional Court of Germany. 2014-02-07. Retrieved 2014-02-12. ↑ "German court says won't rule this year on ECB bond-buying". Reuters. 2013-11-21. Retrieved 2013-11-23. ↑ "Decisions". German Federal Constitutional Court. 2014-03-18. Retrieved 2014-03-18. ↑ "Constitutional Complaints and Organstreit Proceedings Against European Stability Mechanism and Fiscal Compact Without Success". German Federal Constitutional Court. 2014-03-18. Retrieved 2014-03-18. ↑ Treeck, Johanna (2014-03-18). "Update: German Constitutional Court Gives Green Light For ESM". Market News International. Retrieved 2014-03-18. ↑ "Publication of the Fiscal Responsibility Bill 2012". Department of Finance (Ireland). 18 July 2012. Retrieved 31 August 2012. 1 2 "Fiscal Responsibility Bill 2012 (parliamentary status)". Oireachtas. 18 July 2012. Retrieved 31 August 2012. ↑ "Motion No.294 – Resolution on the Ratification of the Stability Treaty". Parlament Ta' Malta. 5 March 2012. Retrieved 24 August 2012. ↑ "Budget rejected as Debono votes with the Opposition". Times of Malta. 10 December 2012. Retrieved 10 December 2012. ↑ "Economic projections: GDP at 1.6%, deficit at 1.7%". Times of Malta. 28 November 2012. Retrieved 10 December 2012. ↑ "General election on March 9; "Debono is irrelevant" – Gonzi". Times of Malta. 10 December 2012. Retrieved 10 December 2012. ↑ "Cohabitation among 15 Bills put on hold". Times of Malta. 11 December 2012. Retrieved 11 December 2012. ↑ "Government to seek parliamentary approval on fiscal treaty". The Malta Independent. 30 April 2013. Retrieved 2013-05-04. ↑ "Motion details". Parlament.mt. Retrieved 2014-01-24. ↑ "Dossier 33319". Government of the Netherlands (in Dutch). Retrieved 18 August 2012. ↑ "House of Representatives in recess". The Dutch House of Representatives. 5 July 2012. Retrieved 19 August 2012. ↑ "Coalition agreement". Government of the Netherlands. Retrieved 2013-05-04. ↑ "Overzicht van afdeling stemmingen in de Tweede Kamer" (PDF). eerstekamer.nl. 2013-05-26. Retrieved 2014-01-24. ↑ "Parliamentary draft resolution on the resignation of the Polish Republic of the Polish zloty and euro adoption and participation in the so-called "fiscal Pact" (no.185)" (in Polish). Sejm. 31 January 2012. Retrieved 2 December 2012. ↑ "The legislative process: The government bill on the ratification of the Treaty on stability (print No. 961)" (in Polish). Sejm. 5 December 2012. Retrieved 10 December 2012. 1 2 "Sprawy Rozpatrywane Przez Trybunal Konstytucyjny" (in Polish). Constitutional Tribunal of the Republic of Poland. 28 March 2013. K 11/13 and K 12/13. Retrieved 2013-04-05. ↑ "Pakt fiskalny w Trybunale Konstytucyjnym" (in Polish). 21 March 2013. Retrieved 2013-04-05. ↑ "PiS skarży do TK tryb prac nad paktem fiskalnym". 2 April 2013. Retrieved 2013-04-05. ↑ "POSTANOWIENIE z dnia 21 maja 2013 r. Sygn. akt K 11/13" (PDF). Constitutional Tribunal of the Republic of Poland. 2013-05-21. Retrieved 2013-06-19. ↑ "Debt brakes for Euroland, A progress report" (PDF). 27 November 2012. Retrieved 2 March 2013. ↑ "Restoring Public Finances, 2012 Update". OECD Publishing. 2012. doi:10.1787/9789264179455-en. ↑ "Talking point". Dbresearch.de. Retrieved 2014-01-24. ↑ "Fiscal frameworks in the European Union: Commission services country factsheets for the Autumn 2013 Peer Review" (PDF). Occasional Papers. European Commission (168). December 2013. doi:10.2765/29624. ISSN 1725-3209. Retrieved 18 January 2014. ↑ Heiko T. Burret; Jan Schnellenbach (2014-01-01). "Implementation of the Fiscal Compact in the Euro Area Member States" (PDF). German Council of Economic Experts. Retrieved 2014-03-27. ↑ "Greens write off debt brake accord". Austrian Independent Online News. ↑ Ψηφίσθηκε ο νόμος-ομπρέλλα για τη δημοσιονομική ευθύνη (in Greek). SigmaLive/ΚΥΠΕ. 2014-02-13. Retrieved 2014-03-27. ↑ "Ο περί της Δημοσιονομικής Ευθύνης και του Δημοσιονομικού Πλαισίου Νόμος του 2014 (N. 20(I)/2014)" (in Greek). ΠΑΓΚΥΠΡΙΟΣ ΔΙΚΗΓΟΡΙΚΟΣ ΣΥΛΛΟΓΟΣ CyLaw. 2014-02-21. Retrieved 2014-03-27. ↑ "Finance Committee Report (VaVM 38/2012vp evaluation of HE 155/2012vp)" (in Finnish). Eduskunta. 12 December 2012. Retrieved 12 December 2012. ↑ "Art 109". gesetze-im-internet.de (in German). Retrieved 4 January 2013. ↑ Novak, Marja (2013-05-24). "Slovenia changes constitution to counter bailout risk". Reuters. Retrieved 2013-05-24. ↑ "Budgetlov (LOV nr 547 af 18/06/2012)" (in Danish). Retsinformation. 19 June 2012. ↑ "Fiscal Responsibility Act will introduce controls on public expenditure - minister". Times of Malta. 24 July 2014. ↑ "Act No. XXVII of 2014: Fiscal Responsibility Act". Parlament Ta' Malta. 8 August 2014. ↑ "33.416 Wet houdbare overheidsfinanciën". Eerste Kamer den Staten-Generaal (in Dutch). Retrieved 25 April 2013. ↑ "Lavtia Observation". Council of the European Union. Retrieved 2014-05-28. ↑ "Latvia and the euro". European Commission. 2013-03-05. Retrieved 2013-05-13. ↑ "Fiscal Discipline Law (137/Lp11)". Latvijay Republikas Saeima (in Latvian). 31 January 2013. Retrieved 16 February 2013. ↑ "Saeima approved the Law on Fiscal Discipline". Latvijay Republikas Saeima (in Latvian). 31 January 2013. Retrieved 16 February 2013. ↑ "Law on the Fiscal Council and Automatic Correction Mechanisms". Ministry of Finance of the Republic of Bulgaria. 21 April 2015. ↑ Sarah Delafortrie; Christophe Springael (24 December 2014). "28 MARS 2014. - Loi portant assentiment à l'Accord de coopération du 13 décembre 2013 entre l'Etat fédéral, les Communautés, les Régions et les Commissions communautaires, relatif à la mise en oeuvre de l'article 3, § 1er du Traité sur la stabilité, la coordination et la gouvernance au sein de l'Union économique et monétaire". federal government service (FOD) of the Office of the First Minister (in French). International Press Center. Retrieved 27 December 2013. ↑ "Lithuania Observation". Council of the European Union. ↑ "Lithuania to adopt the euro on 1 January 2015". Council of the European Union. 2014-07-23. Retrieved 2014-07-23. 1 2 "The Republic of Lithuania implementation of the Treaty of fiscal constitutional law". Teises Aktu Registras. 18 November 2014. ↑ "Details on Hungary's new Constitution". politics.hu. Retrieved 4 January 2013. ↑ "Fördraget om stabilitet, samordning och styrning inom ekonomiska och monetära unionen (Prop. 2012/13:39)" (in Swedish). Regeringskansliet. 22 November 2012. Retrieved 26 November 2012. 1 2 3 4 "European economic forecast – autumn 2016". European Commission. 11 November 2016. 1 2 "The 2013 Stability and Convergence Programmes: An Overview" (PDF). Graph 4.6 and Table A1.8. European Commission (DG for Economic and Financial Affairs). June 2013. ↑ "Belgium's Stability Programme (2013–2016)" (PDF). European Commission. 7 May 2013. Retrieved 8 May 2013. ↑ "Convergence Programme 2013–2016 update" (PDF). Republic of Bulgaria – Ministry of Finance. 18 April 2013. Retrieved 3 May 2013. ↑ "COUNCIL RECOMMENDATION of 8 July 2014: On the National Reform Programme 2014 of the Czech Republic and delivering a Council opinion on the Convergence Programme of the Czech Republic 2014" (PDF). Official Journal of the EU. 29 July 2014. ↑ "Convergence Programme of the Czech Republic (April 2013)" (PDF). Ministry of Finance (Czech Republic). 26 April 2013. Retrieved 30 April 2013. ↑ "Konvergens program – Danmark 2013" (PDF) (in Danish). Økonomi- og Indenrigsministeriet. 30 April 2013. Retrieved 3 May 2013. ↑ "Finlands stability programme 2013" (PDF). Finlands Ministry of Finance. 18 April 2013. Retrieved 30 April 2013. ↑ "German Stability Programme – 2013 update" (PDF). Federal Ministry of Finance. 17 April 2013. Retrieved 30 April 2013. ↑ "Convergence Programme of Hungary 2013–2016" (PDF). Government of Hungary. 16 April 2013. Retrieved 30 April 2013. ↑ "Irish Stability Programme April 2013 Update" (PDF). Irish Department of Finance. 30 April 2013. Retrieved 3 May 2013. ↑ "Latvijas Konverģences programma 2013–2016 (Latvia – Convergence Programme 2013–2016)" (PDF) (in Latvian). European Commission. 29 April 2013. Retrieved 30 April 2013. ↑ "Resolution no 343 on the Convergence Programme of Lithuania of 2013" (PDF). Government of the Republic of Lithuania. 8 May 2013. Retrieved 13 May 2013. ↑ "14th update of the Luxembourg Stability and Growth Programme 2013-2016" (PDF). Government of Grand-Duchy of Luxembourg. 26 April 2013. Retrieved 13 May 2013. ↑ "Malta: Update of Stability Programme (2013–2016)" (PDF). Maltese Ministry of Finance. 7 May 2013. Retrieved 8 May 2013. ↑ "Stability Programme of the Netherlands 2013" (PDF). Ministry of Finance. 30 April 2013. Retrieved 3 May 2013. ↑ "Convergence Programme 2014 update (Poland)" (PDF). Ministry of Finance. 30 April 2014. ↑ "Documento de Estratégia Orçamental 2012–2016 (Portugal – Stability Programme Update)" (PDF). Ministério das Finanças. 2 May 2012. Retrieved 30 April 2013. ↑ "Government of Romania – Convergence Programme – 2013–2016" (PDF). Government of Romania. April 2013. Retrieved 2 May 2013. ↑ "The Republic of Slovenia: Stability Programme 2013 Update" (PDF). European Commission. 9 May 2013. Retrieved 13 May 2013. ↑ "Sweden's convergence programme 2013" (PDF). Sweden's Ministry of Finance. 19 April 2013. Retrieved 30 April 2013. ↑ "Balance-of-Payments assistance (BoP)". European Commission. 27 January 2012. Retrieved 14 August 2012. ↑ "European Financial Stabilisation Mechanism (EFSM)". European Commission. 5 July 2012. Retrieved 14 August 2012. ↑ "Spanish banks to get up to 100bn euros in rescue loans". BBC News. 9 June 2012. Retrieved 9 June 2012. ↑ "Work programme for the Eurogroup for the first half of 2013" (PDF). Eurogroup. 3 December 2012. Retrieved 4 December 2012. ↑ "Referendum 2012: Fiscal Treaty Guide". RTÉ News. 18 May 2012. Retrieved 18 August 2012.